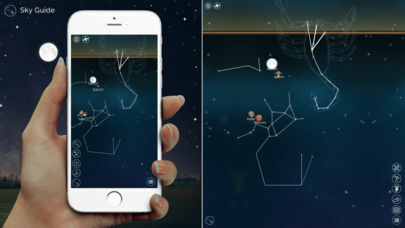 The Sky Walk is a magical new app that enables you to identify the stars, planets, galaxies, constellations and even satellites you can see above. 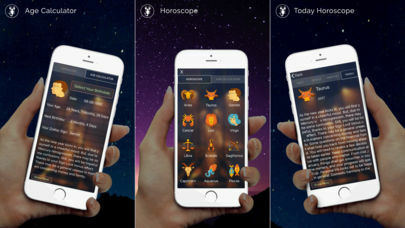 Just stand anywhere and hold your iPhone, iPod touch or iPad up to the sky and The Sky Walk will display the names of the stars, planets and other objects you are able to see, just like magic! ?? 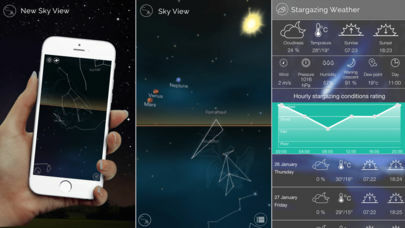 Even if your view is obscured by clouds or daylight, The Sky Walk app will know which stars, planets, galaxies, constellations and satellites are hiding from your view! You have to use this app to realize just how amazing it is! ?? The Sky Walk does this by using your location data provided by the GPS and compass built in to your device. It then cross references your location data with its inbuilt map of the sky and overlays the stars, planets, galaxies, constellations and satellites names on your screen. It really is magical and will amaze you, and anyone you show it to! ? The Sky Walk really is simply magical! You can explore sky with new look amazing look and feature with different themes and many more functionality. – AMAZE ANYONE YOU SHOW IT TO, WORKS JUST LIKE MAGIC! 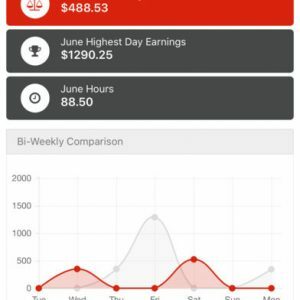 – A UNIVERSAL APP – PAY ONCE AND GET THE IPAD & IPHONE VERSIONS! – WORKS ANYWHERE, NO DATA CONNECTION REQUIRED! AMAZING PRICE FOR AN AMAZING APP! • Beautiful New Sky View with Original Art Work Constellations: All new high quality imagery and super smooth sky tracking, with the ability to ‘share your sky’ through social media and email.
? ?• Stargazing Weather: Detailing cloud cover, temperature, wind speeds and visibility, categorised into simple icons informing you of whether stargazing conditions are good, fair or poor for the night ahead. ?? • Horoscope : You can check horoscope of your sign by personalized Daily Horoscope. Daily horoscope and astrology readings forecasts how stars are going to impact your life. 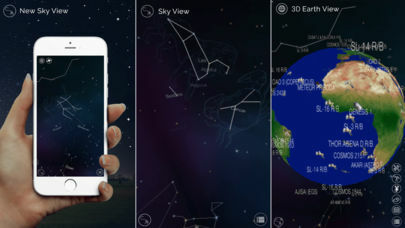 • Breathtaking New Sky View: A completely redesigned new Sky View comes to Sky Walk with a new colorful atmosphere, animations, and more detailed Stars, Constellations, Satellites, and Planets than ever before, prepare to become visually immersed in the Sky Walk. 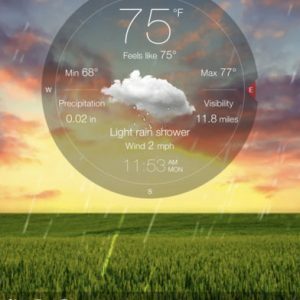 • Stargazing Widgets & Notifications: See the Stargazing Conditions at a glance in iOS 9, with The Sky Walk widget. Be notified during the day about stargazing conditions for that evening, satellites that are coming into view, and also celestial event notifications. Never miss out on amazing things that are happening in the sky above ever again! 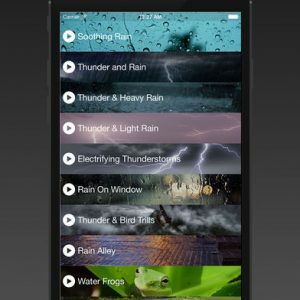 • Beautiful New Sky Information Pack: A fully searchable in depth pack of data about thousands of objects in the Sky Walk. Completely redesigned and packed full of new content, prepare to be blown away with fascinating facts about our universe. 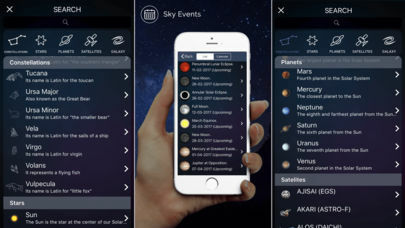 • Sky Info: Including accurate weekly live data on moon phases, sun rise and sun set times, daylight duration and sun elevation, ensuring users are both fully equipped and well-informed in their stargazing. • Latest Sky Walk Events: Never miss out on any events happening in the sky above with Sky Walk Latest Events. Learn about upcoming Eclipses, all annual celestial events, and even stargazing events local to you!